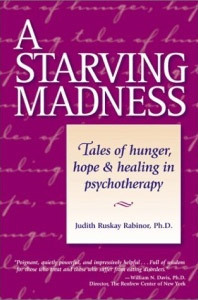 A Starving Madness – Judith Ruskay Rabinor, Phd. Eating disorders are crippling psychological problems and often have deadly consequences. This volume of eight compelling tales (seven women and one man) are a revealing look at the complexity of anorexia, bulimia and binge eating, revealing the process of psychotherapy, and the healing power of the relationship between therapist and client. Sufferers, their loved ones, and caregivers will benefit from the insights provided in this beautifully written collection of stories. 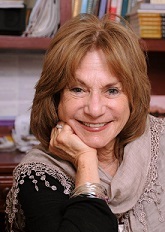 Since publication, the book is used in universities, psychotherapy training programs high schools and reading groups.